A friend made this cake and raved about it. I was skeptical. A cake with no eggs, no milk, no butter? Yep, and it tasted delicious! It was simple to make. You can make it right in the pan you are baking it in. One less dish to wash! This is a great cake when you need/want something quick, easy and delicious. The cake tasted like a cross between a brownie and cake. The fudgy frosting on top was super delicious. We both preferred this cake with a big scoop of vanilla ice cream on top. BOOM! I wish I had a piece right now! Mix first 5 dry ingredients in prepared pan. Make 3 wells in dry ingredients. Pour vinegar in one well, vanilla in second well and vegetable oil in third well. Pour 1 cup of water over entire mixture. Mix until smooth. Bake for 30-35 minutes. Cool completely. To prepare frosting, in a medium saucepan over medium-low heat, melt chocolate chips and butter. Stir until smooth. Remove from heat and stir in vanilla and powdered sugar until desired consistency. Spread over cooled cake and enjoy! This is an oldie but a goodie. I am in my late sixties and I made it a teenager. I'm in my early 60's and I did too, lol. Another, like this, was a "3 hole cake" and it did use eggs and filled a 9X13 pan (3 eggs, but much the same ingredients). To die for and easy. Loved! 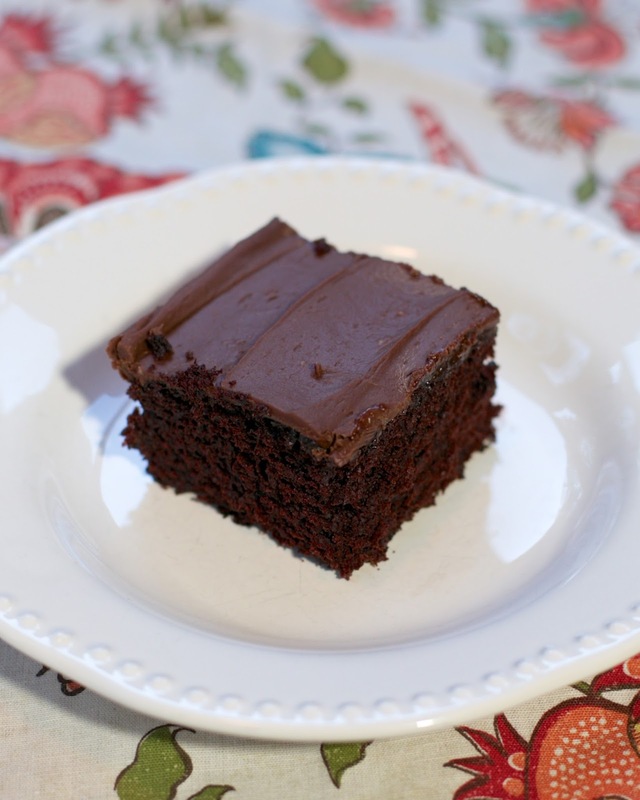 We love Wacky Cake here - I always have everything for it and it makes a manageable size. It's definitely and oldie but goodie - I should make one tonight! Wow -- I used to make this and I was just thinking about it yesterday, wondering where in the world I had put the recipe -- and not knowing where in the world (in my zillions of collected recipes) to look! Thanks! Goofy cake... my dad's favorite!! Wacky Cake was a favorite several years ago when my daughter was growing up. She always requested this cake when she asked her friends over. Very easy, delicious and quick to make! Thanks for posting. New to me! I'll give it a try - the more chocolatey and rich, the better! A one pot cake that tastes good is a great find. Did you use semi sweet chocolate chips? I had forgotten about this cake. We used to make it in the 1950's. It was always good. Anyone know what the Nutrition info is on this? Would love to try this but it would probably kill my Blood Sugar. Seems like the 1 Tbsp butter in the recipe would count as butter! 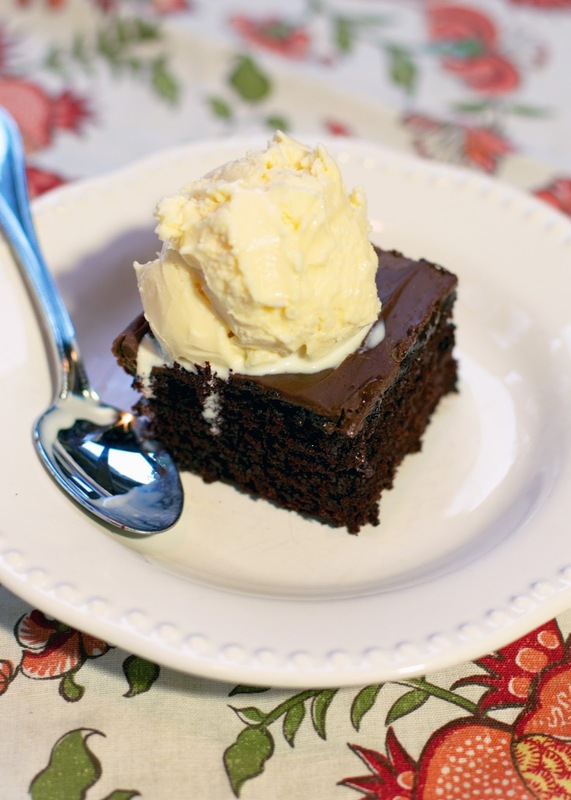 Great recipe, I make the cake for my son that has a milk allergy. I make it with balsamic vinegar instead of the white vinegar, delicious! Looks delicious. Thanks for posting. I cant wait to try this, My son has dairy and egg allergy so the cake portion of this would be perfect. Thanks! we've made wacky cake in the school cafeteria for a very long time. ALWAYS a favorite with any age kid, they love it!. dusted with powdered sugar no frosting. I had a hard time with frosting - it was instantly pasty - so I added a splash of milk and it became wonderful right away! Maybe this will help someone else! Yes! It helped me! I threw out the first batch thinking I'd messed up, and then it happened again, so I came to the comments for help!